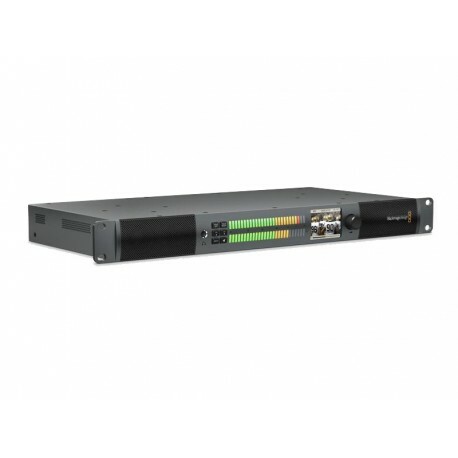 Blackmagic Audio Monitor gives you fantastic quality audio monitoring in an impossibly small one rack unit size. With a dual subwoofer design combined with extra wide range speakers all backed by a super powerful class A/B amplifier. 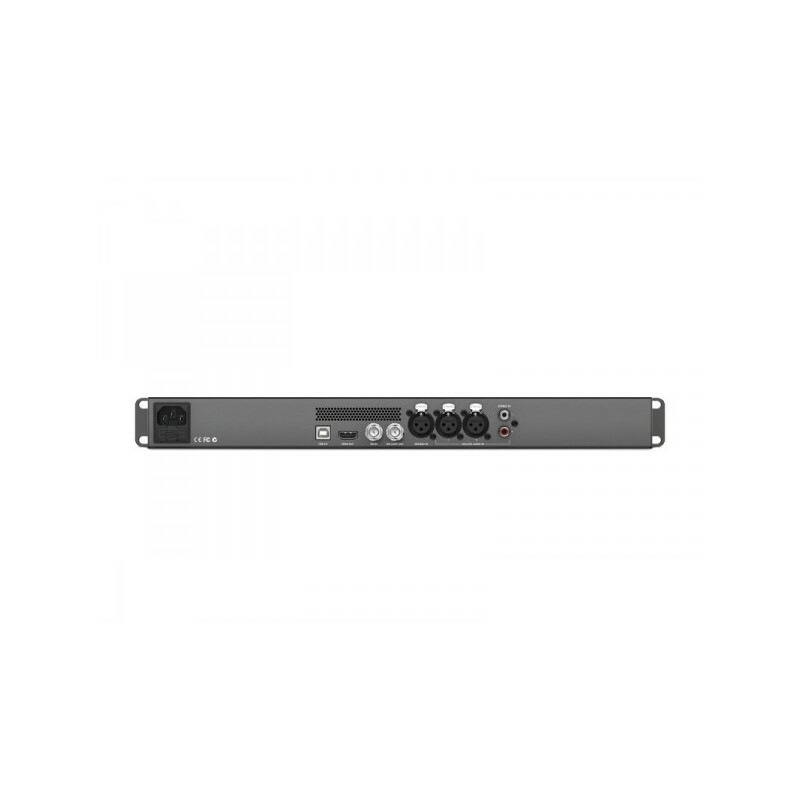 Blackmagic Audio Monitor has been designed to be both an audio and video monitoring solution so you get advanced 6G-SDI in, as well as balanced XLR analog audio, balanced AES/EBU digital audio and consumer level HiFi audio inputs. Blackmagic Audio Monitor features an elegant design with big bright multi color audio meters and a built in LCD for monitoring video sources. You even get HDMI 4K output so you can connect a television for big screen video monitoring of your SDI sources. 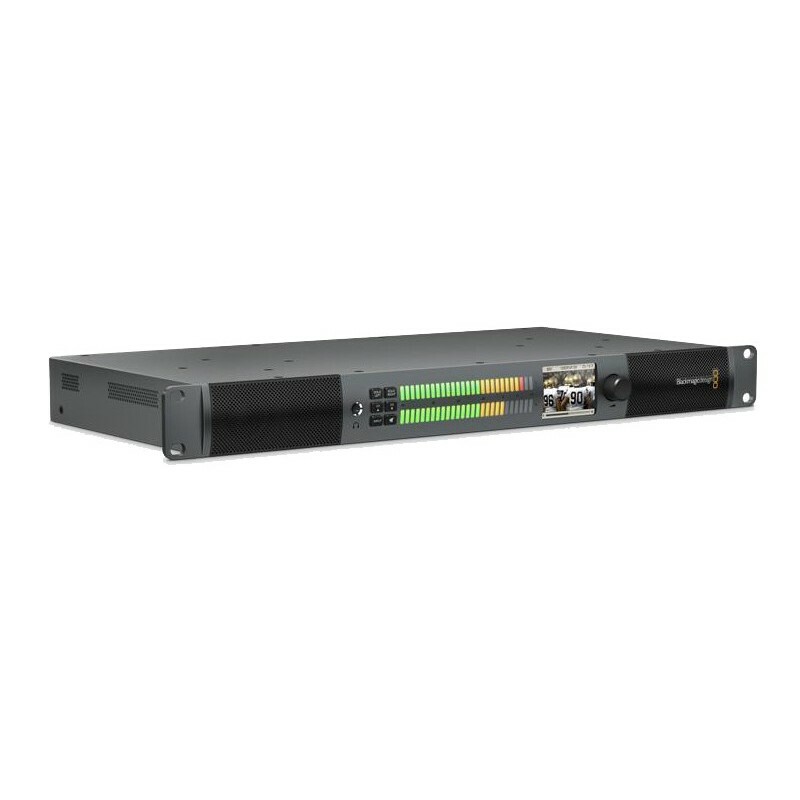 SDI Video Input: 1 x 10-bit SD/HD/UltraHD 4K. Supports 3G-SDI single link 4:2:2/4:4:4 and 6G-SDI single link 4:2:2/4:4:4. HDMI Audio Output: 2 Channels embedded in SD, HD and 4K. Metering: 2 x 27 WRGB segment LED VU meters. Input Display: SDI video, format, audio type, audio channels and volume level. Redundant Power: 1 x built in international AC power supply with IEC C14 inlet. 110-240V, 50-60Hz.